STEVEN M. DAVIS works in the firm's general litigation department. He graduated from Rutgers Law School in Camden, New Jersey. He received his B.A. in social science with a business minor from SUNY Albany. Steven handles all aspects of litigation, from business and commercial litigation, to plaintiff's personal injury matters. 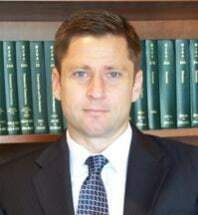 In law school, Steven worked for the New Jersey Legislatures Office of Legislative Services, and wrote for the Rutgers Journal of Law and Religion. Prior to joining Albert Buzzetti & Assoc., Steven worked for two prior personal injury firm's handling a variety of matters from complex personal injury matters to Worker's Compensation matters. Mr. Davis is admitted to practice in New Jersey and New York, and to the District Court of New Jersey.